A huge amount of information on the effects of humans on the biosphere is widely available on the internet and elsewhere – it’s hard to escape the constant deluge of information on climate change even when you’re not looking for it – but where can researchers go to separate the scientific fact from the hype? We’ve been busy at CABI producing a new internet resource designed to do just this. Today CABI launched Environmental Impact, an authoritative internet resource focussing on climate change and other major impacts of humans on the environment. Environmental Impact pools scientific information on the effects of climate change on the terrestrial and freshwater biosphere, including crop production, plant pests and diseases, human and animal health, natural resources and tourism. It also covers other aspects of human’s impact on the environment such as pollution, deforestation, desertification and habitat loss. “We have created Environmental Impact in response to demand from the scientific community, policy makers and information specialists for a single comprehensive information resource on this challenging topic,” said Dr Halina Dawson, Content Manager for Environmental Sciences, CABI. The resource also offers the latest information on adaptation and mitigation strategies such as production and utilization of biofuels and fuelwood, creation of ‘habitat corridors’, enhanced carbon sequestration, agroforestry and restoration ecology. 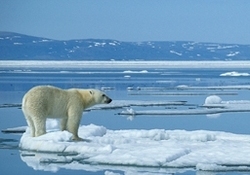 Take a look at Environmental Impact today by going to www.cabi.org/environmentalimpact – we hope you enjoy it! Next Article Should pastoralism get a better press?